A view of Broad Street and St. Michael’s Church, built in the mid 18th century. From left: The piazza at 86 Cannon, the Poinsette House, a five-room inn; Fritz-Porter, a home-goods, art, and antiques store on East Bay Street. 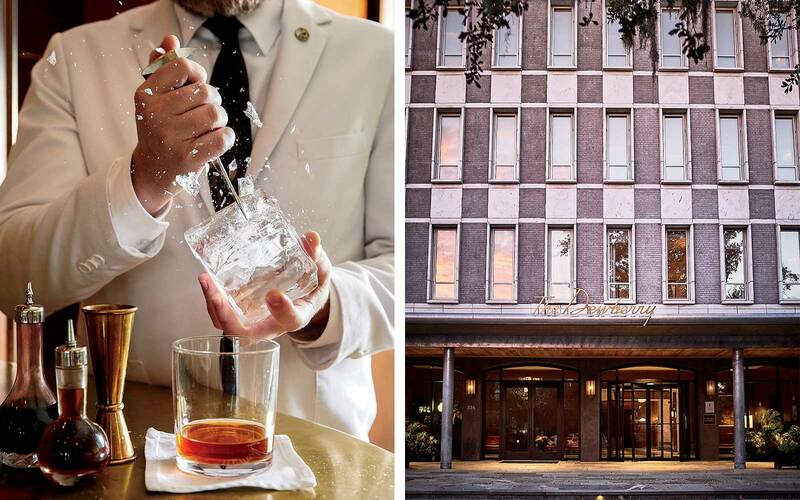 From left: Ryan Casey prepares a cocktail at The Dewberry Charleston hotel; the hotel, satin a renovated Midcentury building. 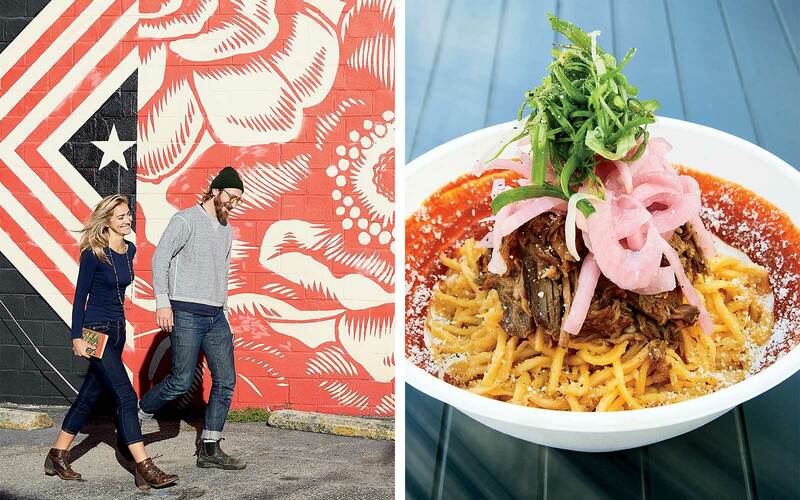 From left: Shepard Fairey’s Power & Glory mural, on King Street; garlic egg noodles with pulled pork from Pink Bellies at Workshop food hall. 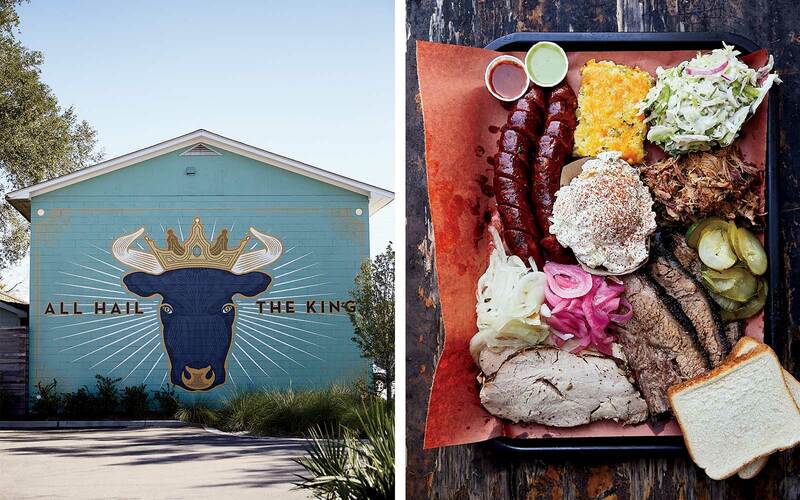 From left: A mural outside Lewis Barbecue, which serves Texas-style brisket on North Nassau Street; a hearty spread of the restaurant's dishes. 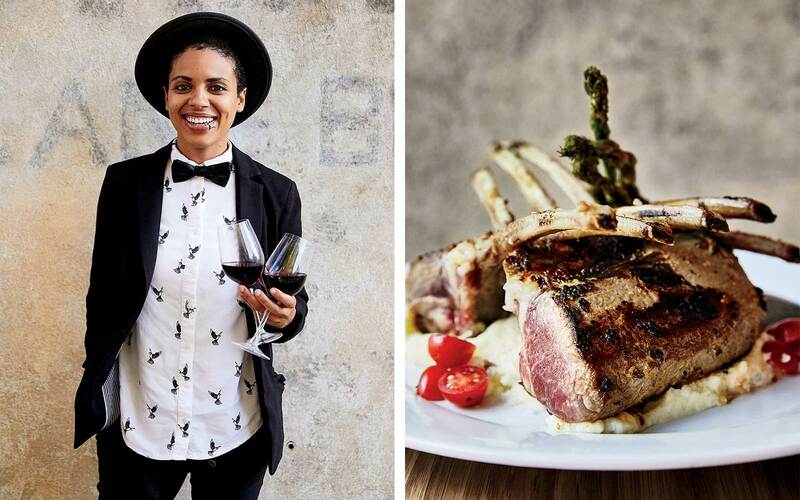 From left: A guest at Stella’s, which serves modern Greek cuisine downtown; Stella's lamb rack. From left: The façade of a traditional home in the Historic District; the patio at Lewis Barbecue. 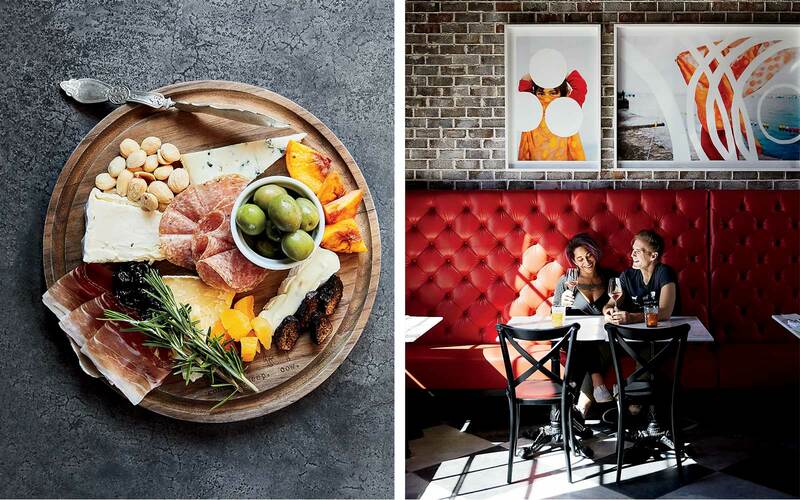 The editor in chief of Southern Living and former Holy City resident shares his top picks on what to experience now. The Dewberry Charleston: A hotel with Midcentury design elements off Marion Square. doubles from $350. 86 Cannon, the Poinsette House: Don't miss the nightly wine and cheese at this inn on Cannon Street. doubles from $349. 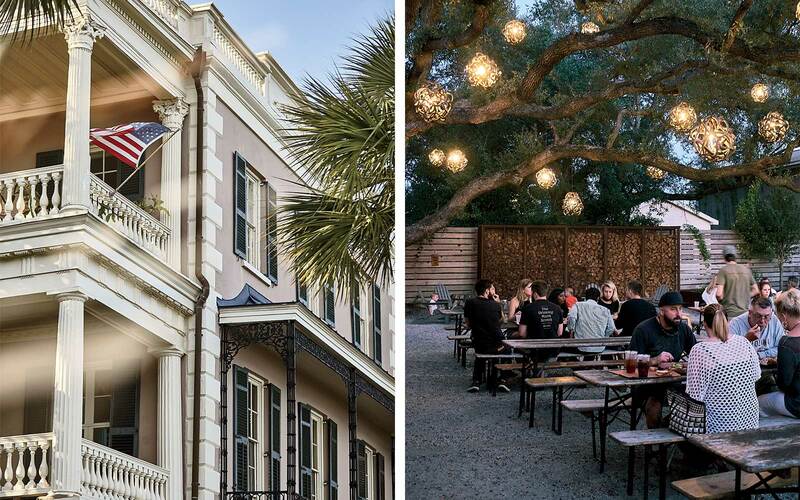 Wentworth Mansion: This downtown inn is classic Charleston, with its Tiffany windows and evening sherry service. doubles from $400. Zero George: A cluster of 1804 homes and carriage houses make up this hotel in Ansonborough. doubles from $449. Butcher & Bee: Middle Eastern small plates reign at this creative restaurant in Half Mile North. entrées $19–$28. Goat Sheep Cow, North: The artisanal cheese shop's new outpost in Half Mile North doubles as a wine bar. From left: A charcuterie plate at Goat Sheep Cow, North, a wine bar and cheese shop in Half Mile North; inside the shop's wine bar. Husk: Chef Sean Brock's love letter to Southern cooking (shrimp and grits, wood-fired quail) focuses on local grains and meats. entrées $30–$34. Leon's Oyster Shop: A former auto-body shop is now a destination for fresh oysters and fried chicken. entrées $13–$39. Lewis Barbecue: Try the "sancho loco" sandwich with pulled pork, chopped beef, and house-made sausage at this spot helmed by the pit master behind La Barbecue in Austin, Texas. entrées $10–$20. McCrady's: Brock experiments with various flavors (uni, meet cucumber) at this tasting-menu-only dining room with 22 seats. tasting menus from $115. Rodney Scott's BBQ: Scott got his start at his family's grocery in Hemingway, South Carolina; his excellent barbecue has now reached cult status. entrées $9–$18. Stella's: This branch of the Richmond, Virginia, favorite began serving Greek fare last year. entrées $15–$29. Workshop: An "exploratory food court" of rotating food and beverage areas. The venue also hosts culinary classes. Xiao Bao Biscuit: This casual restaurant dishes up "Asian soul food" plates like okonomiyaki and Vietnamese crêpes. entrées $12–$18. Edmund's Oast: Supplement the house beers (brewed a few blocks away at its sister taproom) with snacks like fried tripe. Proof: Known for its menu of nearly 40 refined cocktails. South Seas Oasis: A lively bar for tiki cocktails and pupu platters. 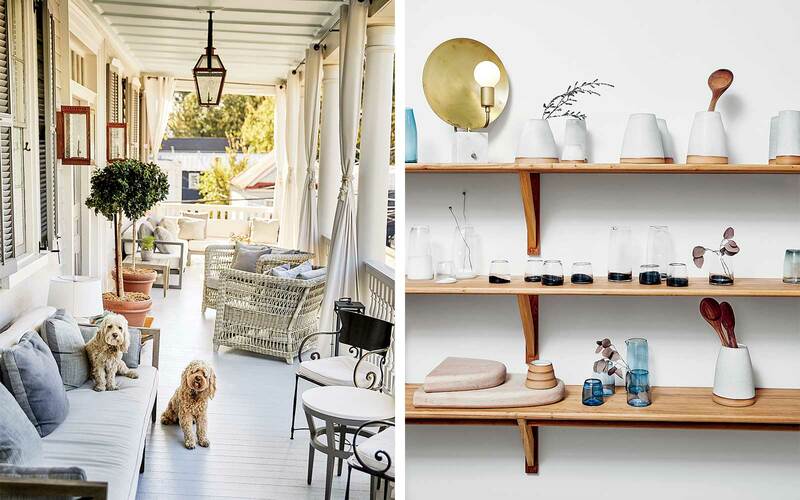 Fritz Porter: A design collective featuring curated antiques and contemporary art. Content in this article was produced with assistance from Dewberry Charleston.